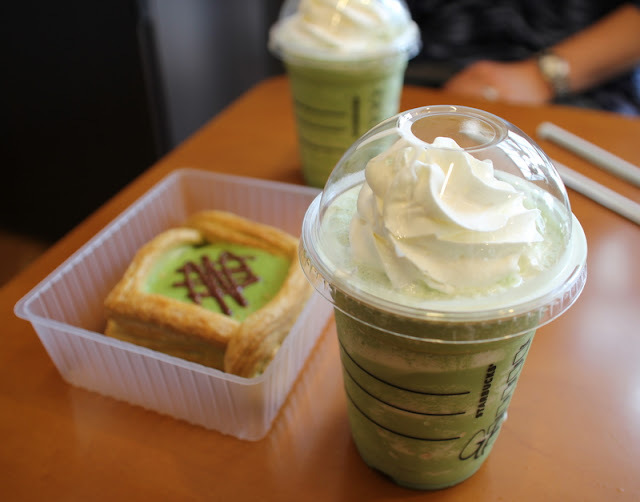 Japanese matcha frappuccinos and a matcha and chocolate danish. One of my favorite American/Japanese mashups is the Starbucks green tea Frappuccino. The funny thing is there are still regular Starbucks visitors in the US who don't know this exists! It's not on the menu at most Starbucks, and the other day at my local store, a girl saw the barista handing one to me and exclaimed in shocked disbelief, "a green tea... FRAPPUCCINO?!?" 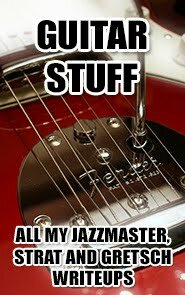 But yes, they make them, and they've made them for probably a decade now. I swear for a while it was on the actual menu, but it hasn't been for some time now anywhere I go - but that doesn't mean you can't still get one. 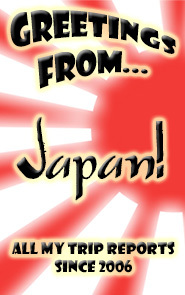 The green tea Frappuccino did actually originate in Japan - it is not an American interpretation, I mean ignoring the fact that Starbucks is an American company and "Frappuccino" sounds like a perverted interpretation of a faux-Italian drink. But the green tea Frap was invented by Starbucks Japan, in Japan. 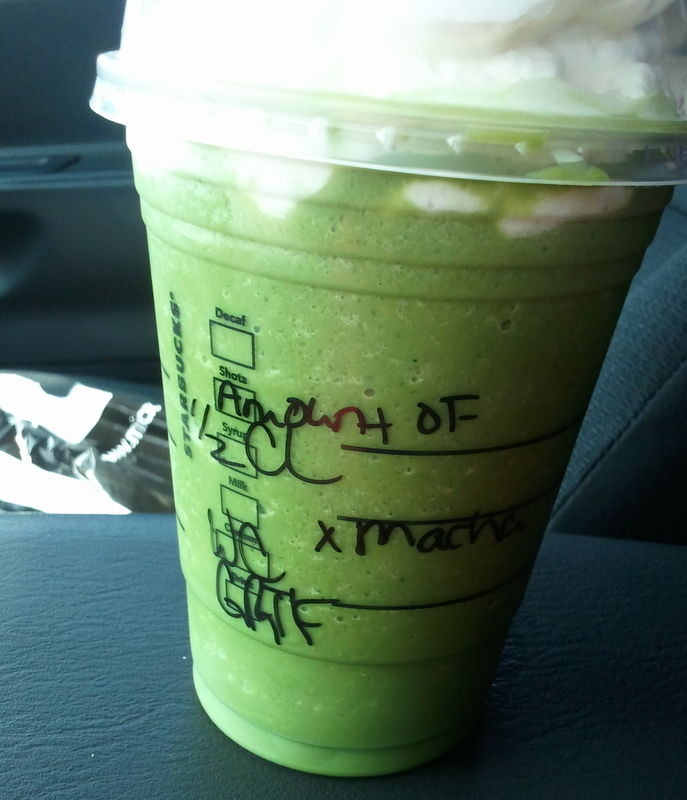 If you can't read that, the important parts are "1/2 CL" and "X Macha". I confess I'm not up on the advanced Starbucks terminology, but I basically order half sweetness and extra matcha. Japanese green tea Fraps are stronger and less sweet than American ones. 1/2 sweetness is still plenty sweet! I'm thinking of trying unsweetened next time, which they actually offered me a while back, before I realized I could go halfway. I gave the barista a pretty incredulous look myself at being offered an unsweetened Frappuccino, but apparently there are people who order them that way. UPDATE! Unsweetened is definitely even closer to the original. The frap base is sweetened already, so there's no need for extra sweetness. Also, 6 scoops of matcha (in a grande) will get you almost 100% to a Japanese green tea frap, although I will admit that this will be a little strong for Americans who aren't used to the taste of real green tea. Incidentally, if you're in Japan, you're actually looking for a "Matcha Frappuccino". Matcha is a particular type of powdered green tea (it is not a term interchangeable with green tea). I'm guessing they use the same powder here, which is why the barista wrote "X macha" on mine - but they actually put it on the menu that way in Japan. It's got a little more cachet than just calling it "green tea" there; "green tea" being a more generic catch-all term, like if Starbucks here were to just put "black coffee" on the menu, instead of listing the different roasts and bean varieties that they have. 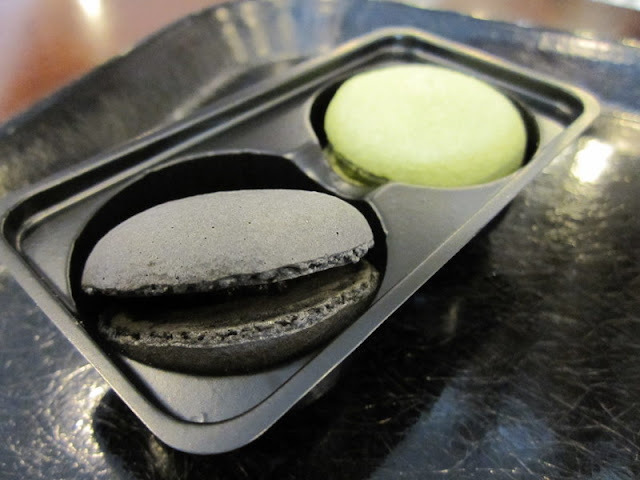 Those are black sesame and matcha macarons. (Not macarOOns... macarons). Black sesame is kind of an acquired taste, but once you've acquired it, there is no better base for any sort of sweet food. (I say "food" on purpose, not drink; I did have a black sesame bubble tea once and it was... how to put this... challenging.) And it's the perfect little complement to a green tea Frap... unlike that matcha and chocolate danish I tried to make it through up in the pic at the top. Green tea and chocolate... ugggghhhh! A.) is this thing in NY? B.) how do I order this , do I call it a green tea frap? Do I call it a matcha frap? Do I say no tropical flavors like idk what to say . Every time I have to order at some place I find the people always giving me an attitude and I'm a very respectful and shy person. So I don't want to seem too picky while ordering. Just order a green tea frap if you're in NY. You would order a matcha frap if you're in Japan. It's the same thing. I added a little update to the post to note that unsweetened is better if you want it to taste closer to the real Japanese version. But if you don't care, just let them make it how they make it. They definitely do not say anything to people who customize their fraps, though. It says right on the menu now that they will make it how you like it. So they expect it.